Pupils in P1 and P2 at St Peter’s Primary School in Buckie have been issued with a series of number games to try outside the classroom. It is hoped the colourful initiative will encourage children and parents to work together in order to improve youngsters’ numeracy skills. The challenges purposefully do not include any internet links in order to ensure the pupils need to work together with their parents. The packs have been especially created following a decision by the school council to devise ideas to improve maths skills. Rhymes have been composed to help children identify numbers as well as domino games to help them learn to count. Head teacher Mandy Feeley said: “We’ve held a series of initiatives including a whole school code-cracker challenge, maths games, clubs and a maths week. “One initiative which was not successful, due to a lack of parental uptake, was coming into school to participate in a maths lesson. St Peter’s primary school in Buckie. Discussions are already being held with staff at other schools in the Buckie area to roll out the learning tool across the area. 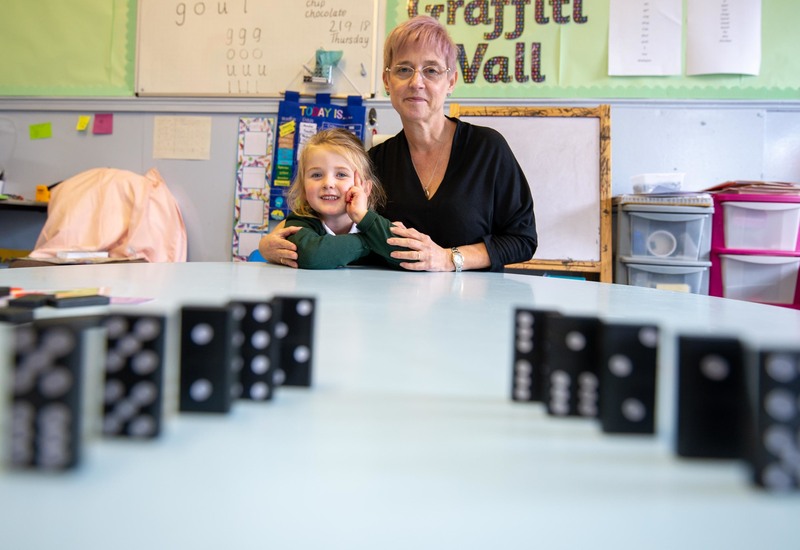 Sonya Warren, chairwoman of the council’s children and young people’s committee, believes the packs are an innovative solution to improving maths skills among youngsters. She said: “Not all parents can make it into the school for activities due to work or other commitments, so I really welcome the introduction of these packs, which allow parents and children to learn with each other outside of school.